Wilmington, NC – May 12, 2016 – Alcami, a leading provider of custom development and manufacturing services for the pharmaceutical and biotechnology industries, today announces it will expand service capabilities at its Charleston, SC, Edison, NJ, St. Louis, MO, and Wilmington, NC sites to offer identification of microorganisms using the latest MicroSEQ® library and an Applied Biosystems/Hitachi 3500 Genetic Analyzer. This system is capable of successfully identifying microorganisms to the species level. We are hosting an open house at our Durham, NC facility from 11:30am - 3:30pm on Thursday, May 19th. The event will include hors d’oeuvres, a rebranding ribbon cutting, facility tours, technical presentation on Abuse Deterrence Studies and a raffle for a Fitbit™ Blaze! 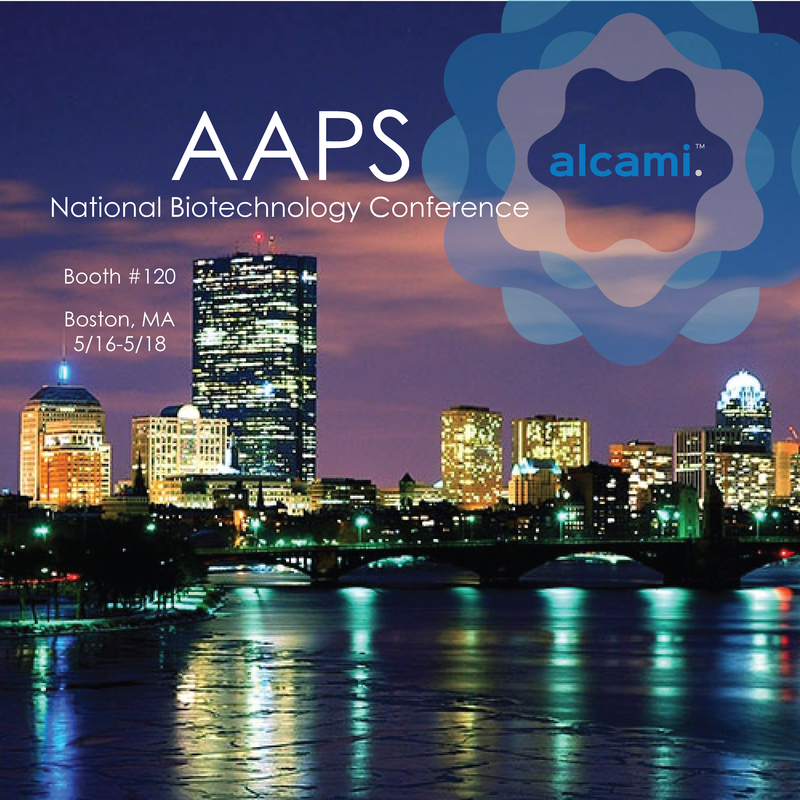 Come visit Alcami at booth #120! Learn and network with top biotechnology, and bring new ideas back to your lab and office. An integrated program will examine both theory and application from multiple perspectives including discovery, development, engineering, and regulatory aspects.